Search below for the worker you would like to support. unlisted worker form or contact us! Search below for the worker you would like to support. If you don’t seeing what you’re looking for? There is an unlisted worker form or contact us! Following graduate studies and 5 years of working with the Fellowship Baptist churches in Toronto, Benjamin and Christine took their young family of three children with them to Quebec, Canada to learn French in anticipation of working with SIM in French West Africa. In 1990 they arrived in Benin, West Africa. For 27 years they have been working in the north of Benin among the tribal people called the Baatonu. The north of Benin is easily 80% Muslim today. 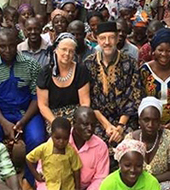 They learned the tribal language and Benjamin served as a curriculum writer and professor at the Baatonu Language Bible School training pastors and evangelists. In time Benjamin was ordained (1993) and earned two further degrees: a doctorandus and and a PhD, both of which focused on the Baatonu people. While doing his doctoral work, he spent 2 years studying Islam. During the 1990s, Benjamin wrote and taught many courses in Baatonu and then published this material in their language. As a teacher, Benjamin also promoted the Christian-worldview Teacher Training and new ministry models to unreached Muslims groups in Benin. Due to his prior research into Islam, he was increasingly invited to hold seminars, teach courses, and write material for national pastors, missionary colleagues, and students in English, French or the Baatonu language, especially following 9/11. When he returned to North America in 2004 as SIM’s Missionary in Residence at Houghton College (NY State), he began to develop upper-level undergraduate courses for the Intercultural Department. At present, he has written 6-courses which he now teaches at under-graduate, graduate and PhD levels. In time, Benjamin recruited a colleague (Dr Don Little) to join him and together they founded the Lilias Trotter Center (http://www.liliastrottercenter.org/) to help promote thoughtful academic and practical engagement with Muslims. This Center enables them to offer more in depth training for those with a burden to reach the Muslim world, teaching courses through Houghton College, Asbury Theological Seminary, Wesley Biblical Seminary, Africa International University (Kenya) both online and in the classroom. While in residence at Houghton Benjamin & Christine devote much of their time to personal discipleship with young men and women attending the college. Christine and Benjamin serve in North America from December to May, and then they transition annually to East and West Africa from July to November to teach courses in English, French and Baatonu. 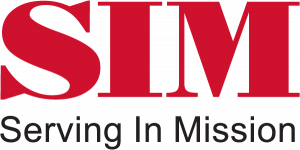 The Hegeman are dual American-Canadian citizens, supported as missionaries with SIM. Their three children are all married, working and living in North America and the UK. Their four grandchildren entertain them whenever they can connect. To give to my personal account (non-receiptable), click here.